If it’s pictures of lovely native plants you’re after, go to the website of the Theodore Payne Foundation, which last weekend hosted a garden tour across greater Los Angeles. However, here and now, the story is about numbers. 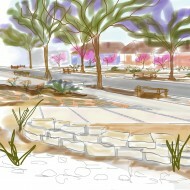 The City of Santa Monica has updated figures comparing the water consumption, labor requirements and green waste production of two side-by-side test gardens, one stocked with native plants and irrigated by drip and the other planted with a conventional complement of lawn and shrubs and watered with sprinklers. According to the project’s landscape designer Susanne Jett, since the two gardens were planted in 2004, the native one has used 81 percent less water, required 71 percent fewer hours of labor and produced 38 percent less green waste. Extrapolate those results across LA County’s roughly 1.6 million privately owned homes and it’s clear that one of the single most effective things that homeowners worried about the state of the environment can do is not necessarily kill their entire lawn but just the front yard grass that most of them don’t use anyway. Making the conservative assumption that all greater LA front yards are as small as those of the aerospace-era lots used for the Santa Monica experiment, if county homeowners replaced only the turf in the front yards with native or Mediterranean plants, then irrigated them with drip, the annual water savings could be nearly 300,000 acre feet of water, or enough to supply Southern Nevada’s roughly two million residents for a year. For those of you who shrug and say, “If I give up my front lawn, some homebuilder will just jump on the water to cover the rest of what’s left of old Riverside County with Cracker Jack tract houses,” you may be right. However, there are other benefits to killing that front lawn and not using that extra sprinkler water. You would be reducing garden maintenance per household from 63 hours a year to more like 20. So there would be fewer mowers. Fewer blowers. Less noise. Better air. The birds, bees and sheer wonder of gardens might make childhood more meaningful than TV and endless car rides to staged experiences. If we converted 1.6 million front yards across LA County to low water native gardens, we would be collectively diverting more than 200,000 tons of green waste out of county processing plants every year, which is to say, taking the cost of composting it off the tax rolls. Plus, homeowners would save money in more direct ways. 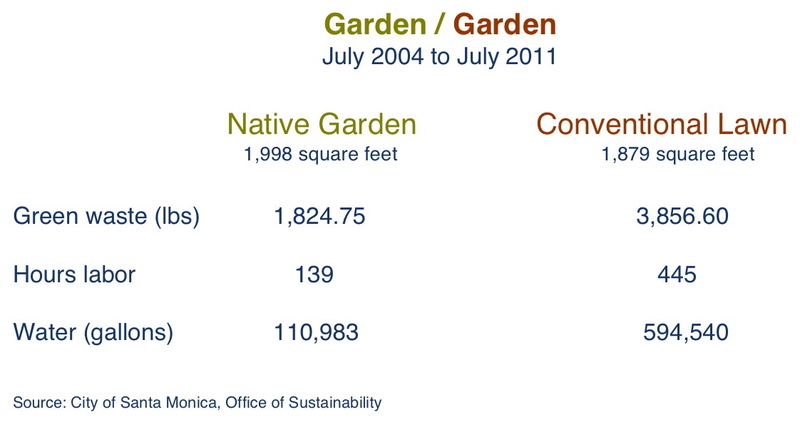 Apart from the 2004-2011 numbers shown in the graphic, which were supplied in a private communication with Santa Monica water resources specialist Russell Ackerman, an earlier parsing by Ackerman’s team of Garden/Garden results calculated that the annual cost to the homeowner of tending the native/drip front yard was $800/year as opposed to $3,000 for the conventional one; $2,200 a year back in pocket is not chump change. For more information about the Santa Monica test site, go to Garden/Garden. This post has been updated. I always get lost looking into the WterWise infoThe green growing guide advocates only California Plants suggested for the Rebate program…where is the all purpose Mediterranean recommendation list? I have been under the impression that just using drought tolerant natives or mediterranean is best…Is Santa Monica only providing rebates for Native use only? It’s a little confusing. Bottom Line where can I get an extended L.A. City approved plant list for Rebate Program? 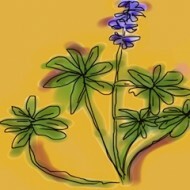 The “approved plants” for rebate gardens may vary according to city and water district. I suggest that you go to the website of your local water company (i.e. : Pasadena Water & Power, DWP etc), follow the links to the rebates and see what the requirements are. Once you apply, you will be given guidelines. These are not always rational. For example, if I’m not mistaken, DWP requires the use of weed cloth, which is not a good product, suppresses soil health and doesn’t prevent weeds, particularly turf recurrence. DWP also, however, has a case by case policy so you may be able to present a plan and have it approved without it being a textbook case. It’s really a local issue. I hope this helps.